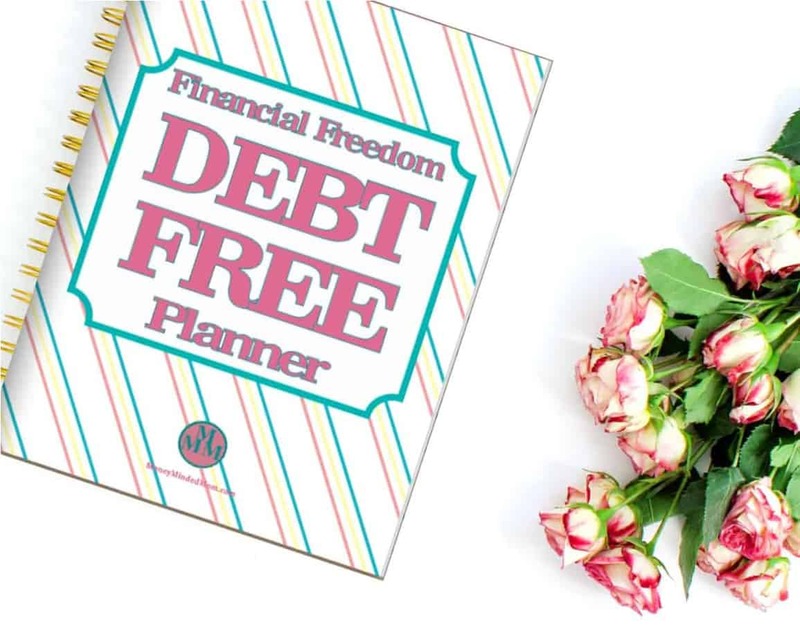 The Financial Freedom Debt Free Planner was designed to organize your finances, create a budget to find more money to throw at your debt, and make a plan to get out of debt. 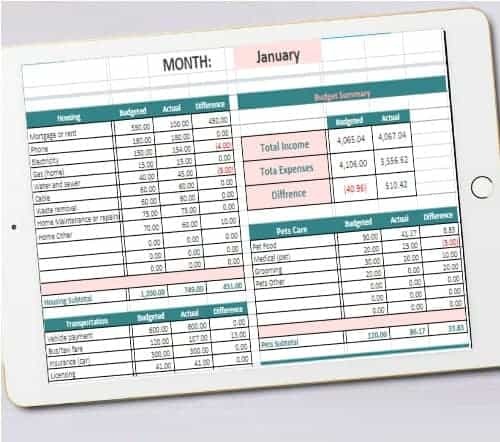 The budgeting Made Easy spreadsheet is the only tool you’ll ever need to stay on budget. It’s also automated to save time every single month. Simply fill in your spending log and your budget is always up to date so you always know where you stand throughout the month! 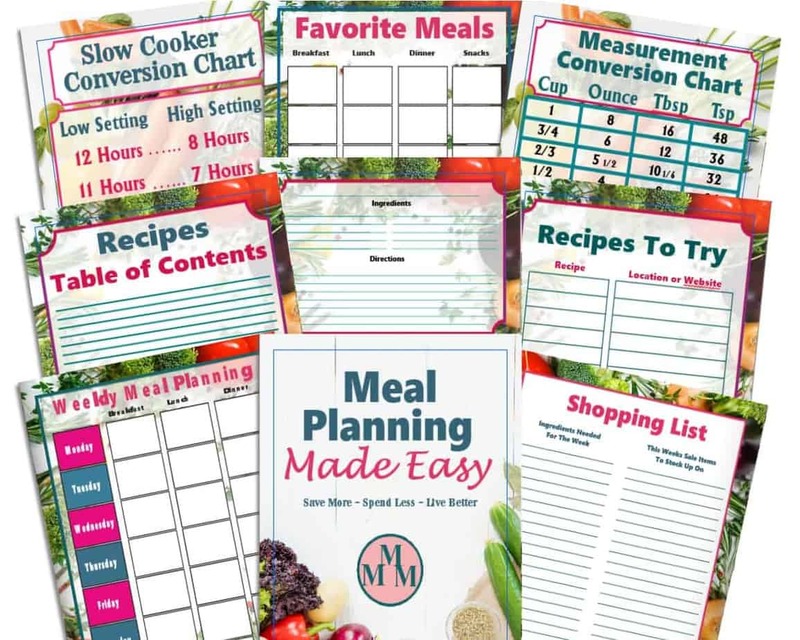 The Meal Planning Made Easy Bundle comes with a quick start guide to get started meal planning and saving money. The workbook has meal planners, shopping lists, recipes cards and more. 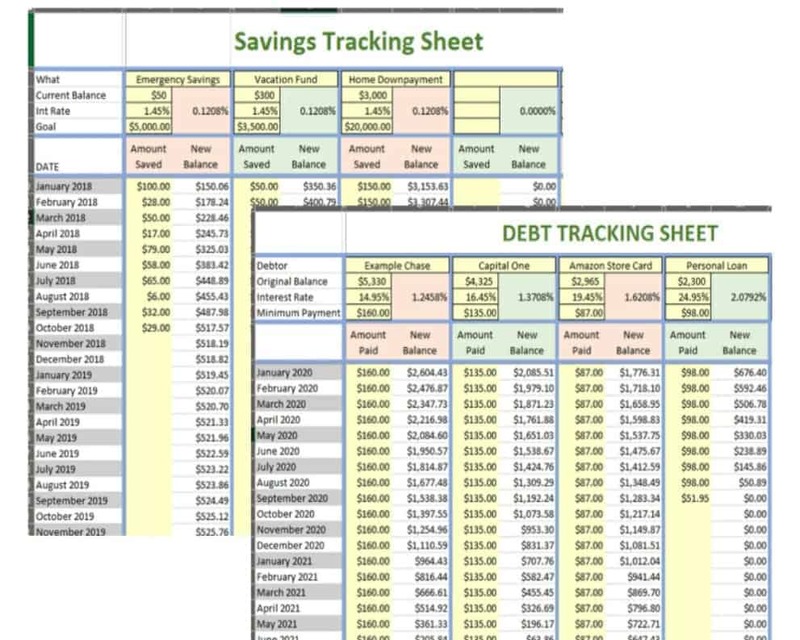 Manage your savings and debts with this Debt / Savings tracking sheet. The debt sheet can be used with either the debt snowball or avalanche method. Both sheets auto calculate interest making them easy to know where you stand. The holiday season can be super stressful, especially on our wallets. But it doesn’t have to be. With a little bit of planning ahead and getting organized, you can save yourself from holiday debt and stress. The Christmas Budget Planner was designed to help you come up with a plan and for the holiday season, that’ll help you to not only enjoy the season with less money stress but also to help you organize the many things we need to get done during this chaotic time of year so you can actually enjoy it. Isn’t that what the holidays are supposed to be about? 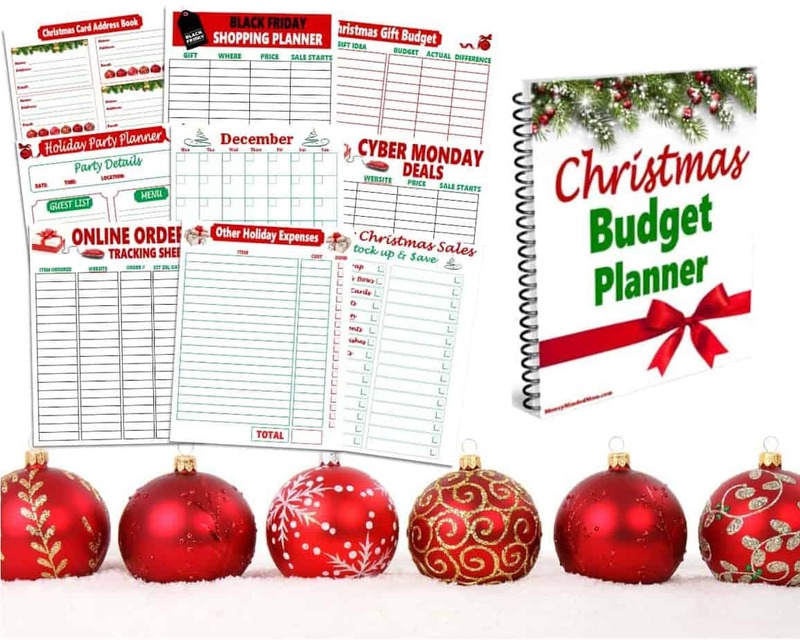 Grab your Christmas Budget Planner for $17.00 today. Getting out of debt can be really hard. You need to keep tabs on how far you’ve come to stay motivated to get it done. That’s exactly what these Debt Thermometers were designed to do. They are a visual reminder of how your hard work is paying off as well as a motivator to keep going until you are debt free. 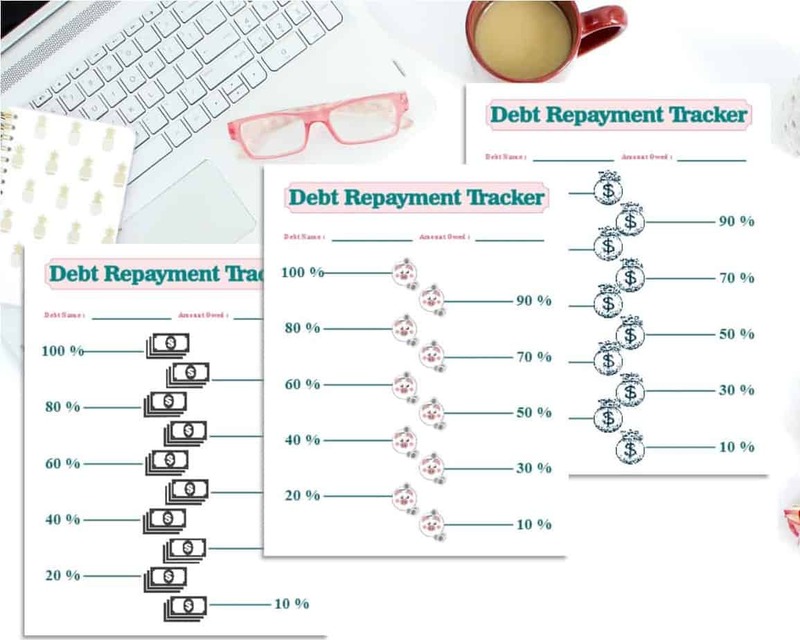 Grab your Debt Thermometer Tracking Sheets for $3.00 today.